The Comprehensive Stroke Center at the UNC Medical Center is a multi-specialty clinical and research program that incorporates state-of-the-art approaches in caring for patients with stroke or other vascular disorders of the brain. 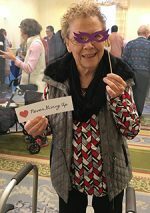 Its mission is to serve the citizens of North Carolina by providing high-quality comprehensive stroke care, educating patients and health care providers, and conducting cutting-edge research in stroke care and prevention. The UNC Comprehensive Stroke Center’s multi-specialty care approach utilizes the expertise of a large group of physicians and staff with specialty training in the treatment of stroke. Stroke patient care is coordinated by a team of vascular neurologists and neuro-intensivists who work closely with emergency medicine physicians, neurosurgeons, neurointerventionalists, neuroradiologists, vascular surgeons, cardiologists, physiatrists, neuro-trained nurses, and stroke ancillary care specialists (physical therapists, occupational therapists, speech therapists, respiratory therapists, care managers, and social workers). Acute stroke care is available 24/7/365 and is provided to medically-eligible patients by an on-call acute stroke team. The team evaluates patients for acute treatments, such as intravenous thrombolysis, catheter-based interventional procedures, and surgical treatments. The team also screens patients for inclusion in clinical studies and trials of the latest experimental stroke therapies. Stroke-specific care units at the UNC Comprehensive Stroke Center include a 35-bed acute care floor (6NSH), an 18-bed intermediate care floor (ISCU) and the 16-bed Neuroscience ICU. Patient care is directed by specialty-specific stroke neurologists and coordinated by an experienced stroke center program manager, Nicole Burnett, RN, BSN, CNRN, CCRN. All nurses caring for patients in the stroke center are required to participate in extensive stroke education on an annual basis. The UNC Medical Center has a strong track record of quality and excellence in stroke care and has maintained the Joint Commission Disease-Specific Certification as a Primary Stroke Center since its founding in 2004. In 2012, the UNC Medical Center became the first hospital in the Southeast to receive the Joint Commission Advanced Certification as a Comprehensive Stroke Center, confirming UNC Medical Center’s position as a national leader in stroke care. The UNC Comprehensive Stroke Center has also received the American Heart Association/American Stroke Association Get With The Guidelines Gold Plus Achievement Award and is recognized in the American Heart Association/American Stroke Association Target: StrokeSM Honor Roll Elite Plus. 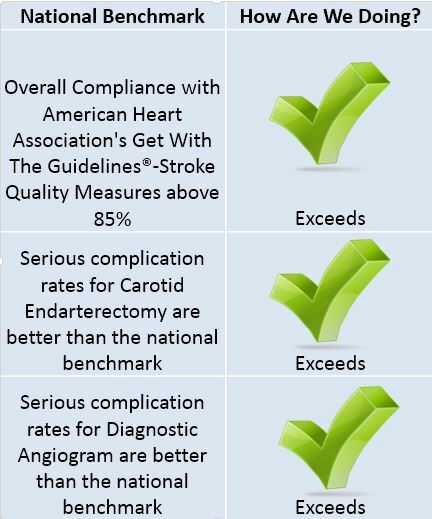 Hospitals receiving the Gold Plus award must achieve 85% or higher compliance with all Get With The Guidelines®-Stroke Achievement Measures and 75% or higher compliance with five or more Get With The Guidelines®-Stroke Quality Measures for two or more consecutive years and achieve Thrombolytic Therapy ≤ 60 minutes 75% and ≤ 45 minutes 50% or more of applicable acute ischemic stroke patients to improve quality of patient care and outcomes. tPA, the only drug approved by the U.S. Food and Drug Administration to treat ischemic stroke. To request transfer of a patient for endovascular stroke treatment, call the UNC Transfer Center at (800) 806-1968 to speak with the stroke attending on call. Click here for Code IA Stroke Transfer Protocol. This link includes protocols for outside hospital transfer and non-Carolina Air Care Transport. Please access our UNC Family Resource guide for directions to the hospital, information on parking and where to stay. For all other questions or to request assistance with an appointment, please contact us at (984) 974-2266. This event on November 10 allows for fellowship among stroke survivors and caregivers, and offers community resources and educational opportunities throughout the day. This symposium on November 2 will provide an opportunity for continuing education for EMS & critical care transport providers on emergency neurologic and cardiac care. Join experts from the UNC Comprehensive Stroke Center on September 7 for a new educational program for nurses and other healthcare providers who want to learn the latest advances in caring for stroke patients.